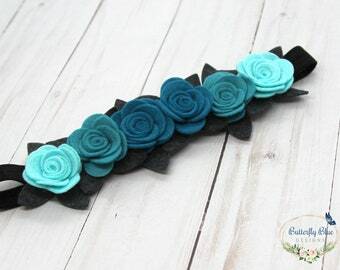 These sweet, soft little headbands are perfect as a matching set for all the guests at a birthday party. 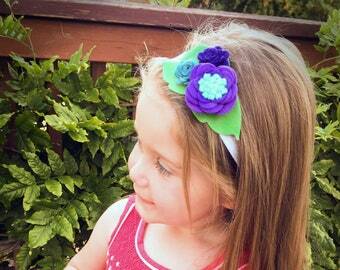 They are great for a photo session or as an everyday accessory. 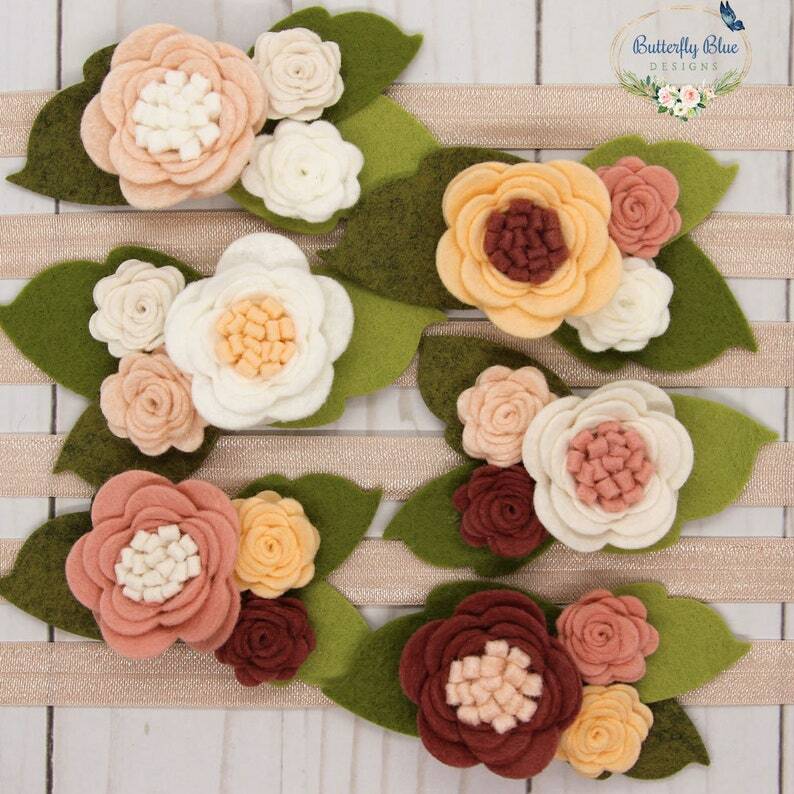 They are each made with 3 wool blend felt flower roses in Soft Pinks and Cream tones of wool-blend felt colors.